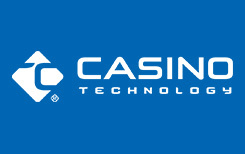 Casino Technology is probably one of the most resounding and hard-hitting names out there when it comes to online gambling. Truly the Atlas that holds on his shoulders this dark and shady world that you can rely on to be unreliable, Casino Technology has long been supplying some of the best slots to a few of the most notorious names around. We have to warn you in advance: many good things come from outside mainland Europe and The US. If you’re one of those folks who think anything coming out of the CIS countries probably packs a GPS tracker and a hefty dose of radiation, here’s an opportunity to be proved wrong again. This Bulgarian-based company has been 15 years in the service providing nothing but reliable service that serves as a benchmark for all other businesses in the CIS block that want t do business with the Europeans. Some of the most advanced and interesting things in the world we have Bulgaria to thank for, like beautiful roses, the oldest gold treasure in the world (imagine that! ), and the invention of Cyrillic alphabet before Russia. So it turns out there are a few other things to consider, while we are on the subject of undiscovered gold. Having worked for a great deal of its time on bridging the boundaries between land and online casinos, Casino Technology has gradually earned a reputation for reliability and great quality for reasonable prices. 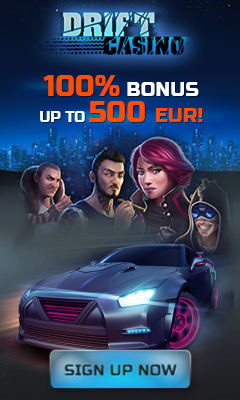 It has been in business since before the turn of the century, supplying top of the rage games to over half a hundred countries in the world, establishing a serious presence in the industry as well as a series of intimate relationships with every segment of the casino market. As a result its successful and innovative strategy, this company has grown in size to thousands of staff (and still picking up speed), so definitely someone to make friends with if you’re a beginner entrepreneur, and to count on if you’re a gamer. A lot of work has been done to diversify and upgrade the existing software as well as creating new products in order to get out there into the cell phone market and make games mobile-ready, which means that now there even more many great opportunities to access games, even if you’re not near a casino or a computing device of some sort. We fully support this tendency because we see technology as means of extending your horizons and opportunities and getting done a plethora of things you couldn’t even dream of before. Of course, you could say we have been watching too much Bladerunner, but consider this: 50 years ago if you said to someone you could have a conversation with a person halfway around the globe with a device that can fit in the palm of your hand, they would laugh at you. And think of what the technology will allow you to do in ten years! Opportunities are limitless. Which is why we recommend sticking with the time-tested and trustworthy companies who are guaranteed to move only forwards and upwards on the market. Casino Technology has been around, in fact, since the Naughties (1999, to be precise). Imagine that: at the age when most young people today weren’t even born, Casino Technology has been making land-based slots already. Now they are beginning to convert to the digital age, as the era dictates, and their primary aim now is video slots (mostly because there is much room for the development of new tech in this area). This company can boast over half a thousand games, of which you probably know The Great Queen Bee, Banana Party, and Wild Temptations. 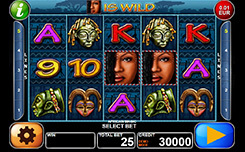 This company has a great interest in online slots, which is the reason you can find so many of them here. The main idea behind this platform is to complete the move from the brick and mortar to the digital sphere. For that purpose, the company has made sure they really dedicate themselves to their creations. You know the difference between work that has been done just so that it can be done and forgotten about, and examples of great craftsmanship? Well, if you pay attention to the products this firm provides, you will notice that they pay meticulous attention to everything they dedicate their time to. All their games are finely crafted with great attention to detail, and they are fantastical fun to play. Also, these guys don’t just stop there and make sure they go all the way down to the intricacies of bonus games, which we found delightful and very entertaining.